On January 1, 2002, the Parti Québecois fused 42 Quebec regions, including the island of Montreal, into megacities. These mergers polarized public opinion, sparked court battles and referenda, and helped dethrone the government. Some citizens saw the mergers as recipes for waste and higher taxes, others as an opportunity to bring Quebec's cities into the 21st century. With referenda set for September, Quebec citizens must decide which position they support: megacities as egalitarian and efficient or as bureaucratic and undemocratic In this opinionated guide to the demerger vote award-winning journalist Henry Aubin analyzes: , The false premises and baseless fear-mongering that underlie the case for saving megacities. , The unabashed war on democracy by mayors trying to hang on to their new empires. , Major media's dereliction of journalistic duty in becoming cheerleaders to that democracy-crushing campaign. , How citizens fighting to reclaim their former towns are injecting new life into languishing democratic traditions. Henry Aubin, a regional-affairs columnist for the Montreal Gazette, has been Quebec journalism's most outspoken critic of municipal mergers across the province. 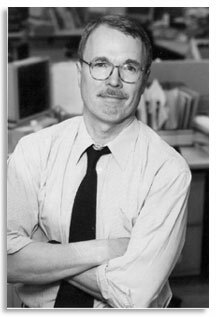 His editorials on the mergers won Canada's top press prize, the National Newspaper Award, in 2000. In 1977 he wrote City for Sale, a best-selling investigation of the financial interests behind Montreal's development in its boom years. His most recent book, The Rescue of Jerusalem, won the Quebec Writers' Federation Award for non-fiction and the Canadian Jewish History Award for history in 2003.